"she traded her parisian red lipstick for a shot of limoncello and an afternoon learning the ropes of island life." Hello, March! Yup, I think it's safe to say that I'm in denial that it's almost spring. 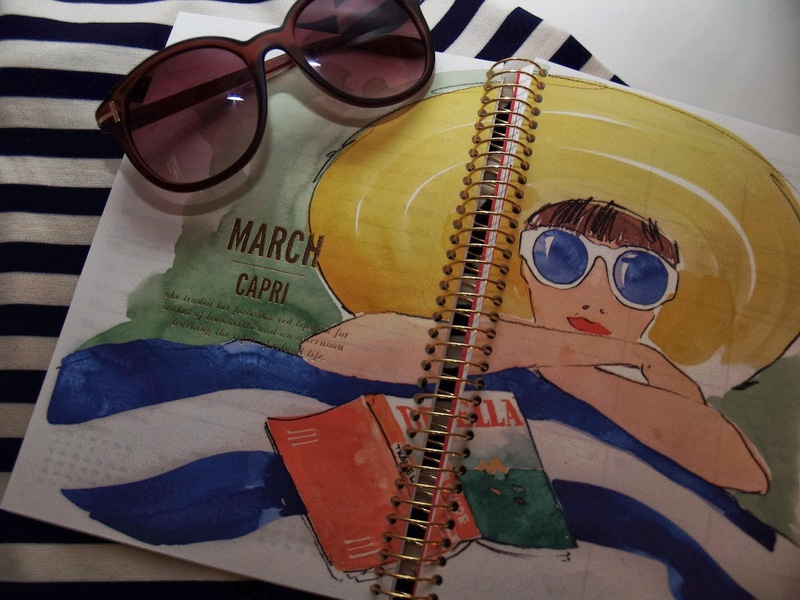 How great is Kate Spade's "Capri" watercolor illustration above? The colors are spot-on – navy & white stripes...can't get much better than that! Hope everyone's enjoying their weekend – check back for a new post on Monday!